Dead Sea is So Much Fun- A Trip to the Israel Side! As I walked towards the Ein Bobek Beach, my eyes, I am sure, were twinkling. Dead Sea is so much fun and I was getting a second chance to indulge. I was so looking forward to it! Ein Bobek is on the Israel side of the Dead Sea. 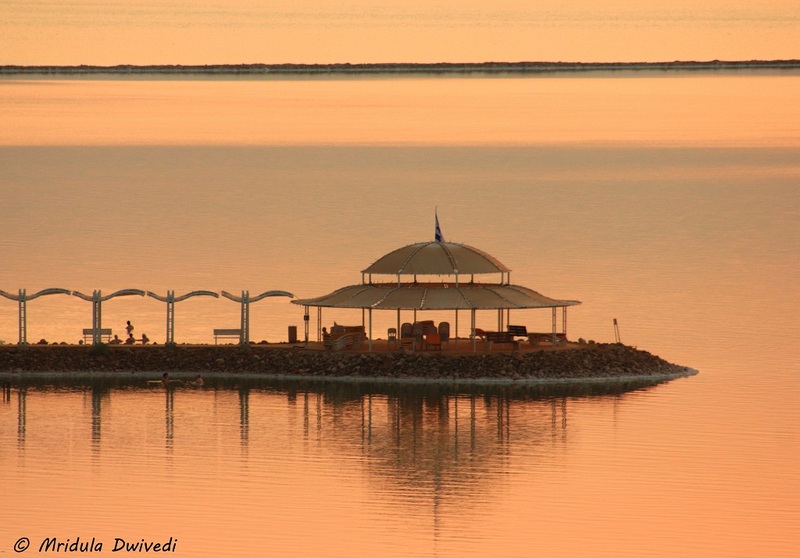 Dead Sea is a landlocked salt lake between Israel and Jordan. Dead Sea is 430 meters below the sea level. The Dead Sea lies in the desert region, so it was hot when I was there! We arrived at our hotel at 4.30 pm and we had spa appointments almost immediately. I dumped my luggage and went for the spa. They wrapped me in Dead Sea Mud and covered me in layers and left me in the room! However, when I emerged from the shower, my skin was glowing. However, I was in a hurry to go to the beach. I changed quickly and emerged. I asked at the reception about the hotel beach. They said they shared it with another hotel and it would anyway close at 6.30 pm. It was 6.15 then. The receptionist advised me to go to the Ein Bokek Beach right across the road to the hotel. It is a public beach. Dead Sea is So Much Fun! 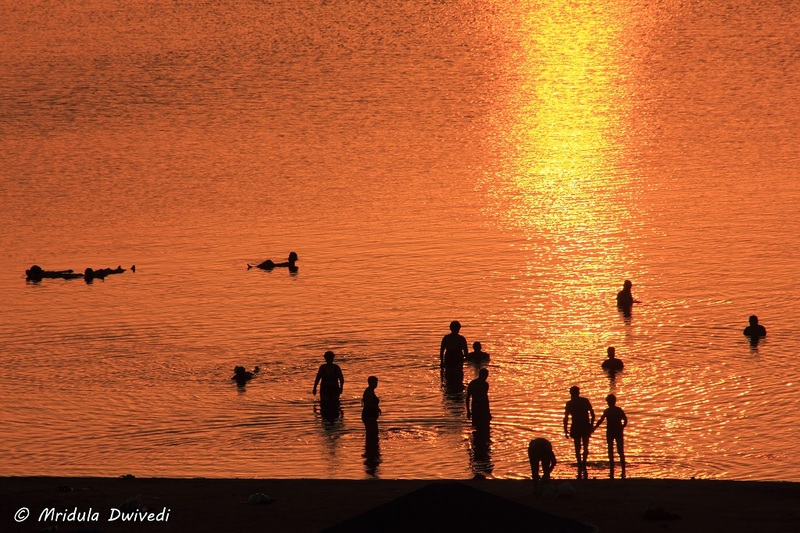 There were fresh water showers on the public beach and that is important when you wish to enter the Dead Sea. The salt content of the Dead Sea being 33.7%, even a single drop of water in the eyes stings like mad. Standing below the fresh water tap is the quickest way to wash out the salt, should you get it in your eyes! I gave a reassuring glance to the freshwater showers and waded into the lake! I Sent Him the Picture too! The Ein Bobek Beach has some stones at the shore, so I waded in carefully. The Dead Sea water feels so good on the skin. 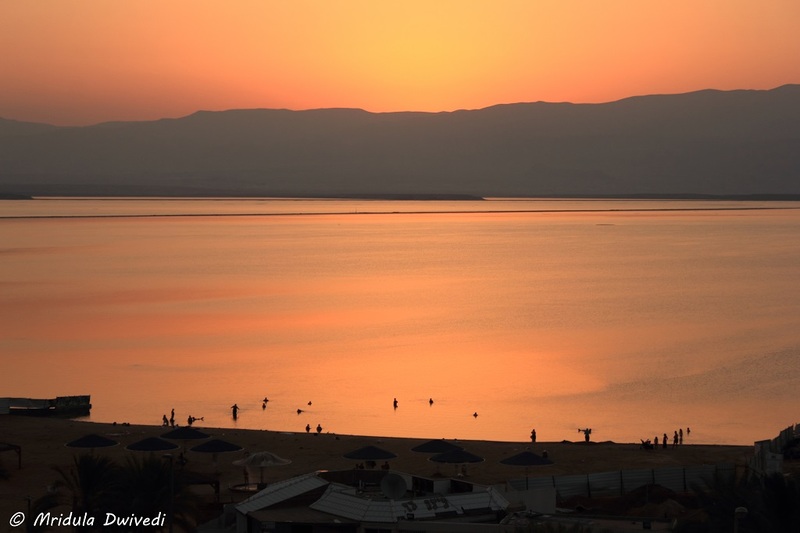 The Dead Sea has given rise to a big cosmetics industry. Ahava is one popular brand which markets various lotions, creams, mud packs and much more using Dead Sea ingredients. I shopped a lot (by my standards) at their store! 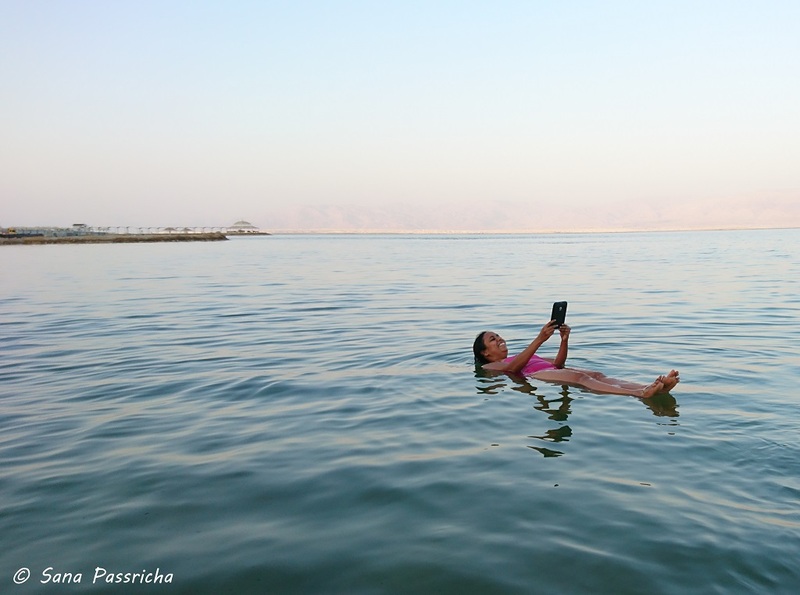 Dead Sea Readings on a Nook! 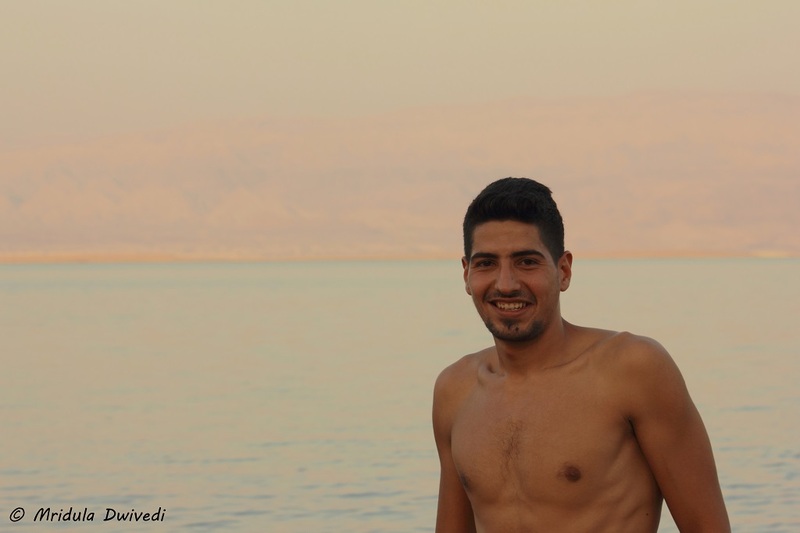 Finally I was in the water, floating, like yo can float only in the dead sea. Reading Nook was just for show, after all I am allowed to be a show off sometimes, more so at the Dead Sea! The next morning I got up with the sun but clicked it only from my balcony. I was starting off early for Masada. I know I am being greedy, I have already been to the Dead Sea twice, but I surely want more. PS. 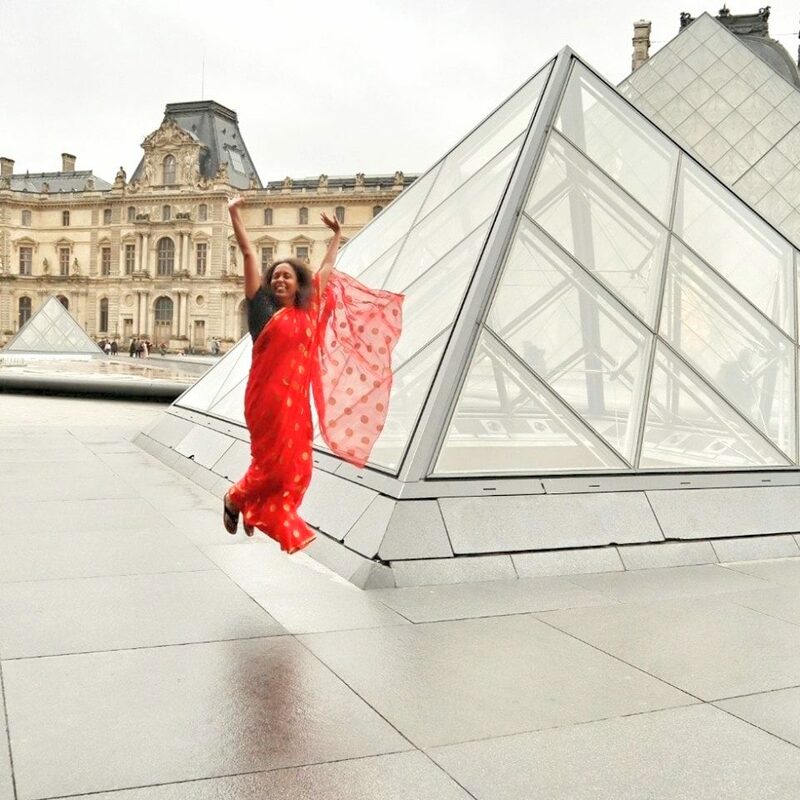 I was invited by the Ministry of Tourism, Israel on this trip!